FIBARO Door/Window Sensor is a HomeKit-enabled contact sensor using Bluetooth® low energy wireless technology. Along with detecting opening and closing, the accessory measures the ambient temperature. Opening is detected by separating the sensor’s body and the magnet. Tampering is detected whenever the accessory is detached from the surface or casing is opened. 1. Take off the cover. 2. Remove the battery blocker and check if the battery is placed correctly. 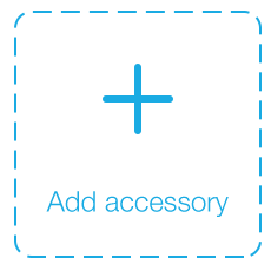 The accessory will glow blue for 1.5 seconds – it is ready to be paired. Pay attention to the correct orientation of the cover and sensor's body! 4. Open the FIBARO app and tap + icon. 1. Peel off the protective layer from the sticker on the accessory. 2. Stick the accessory onto the door/window frame. 3. Peel off the protective layer from the sticker on the magnet. 4. Stick the magnet onto the moving part of the door/window, no further than 5mm from the sensor (vertical line marks should allign). Press the button 3 times then press and hold the button. When the LED glows, release the button. Click the button again to confirm. The Door/Window Sensor detects opening/closing using Hall effect sensor and reports it to your iOS device. Opening is detected by separating the sensor’s body and the magnet. Changing the state is indicated with one blink. NOTE: Use app that allows to configure parameters to change the default state of sensor and its indications. The Door/Window Sensor detects tampering whenever the accessory is detached from the surface or casing is opened and reports it to your iOS device. Tampering is indicated with two blinks. by at least 1°C (1.8°F), accessory reports it to your iOS device. The Door/Window Sensor measures battery level every 24 hours and reports it to your iOS device. Additionally, if battery level is below 15%, the accessory will report low level battery status to your iOS device. Use app that allows to configure parameters to adjust operation of Door/Window Sensor. This parameter allows choose if opening/closing is indicated by the built-in LED diode. Controlling this HomeKit-enabled accessory requires an iPhone, iPad, or iPod touch with iOS 9.3 or later. Controlling this HomeKit-enabled accessory away from home requires a third-generation Apple TV with Apple TV software 7.2.1 or later or a fourth generation Apple TV with tvOS 9.2 or later and an iPhone, iPad, or iPod touch with iOS 9.3 or later. 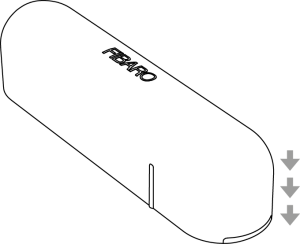 Hereby, Fibar Group S.A. declares that FIBARO Door/Window Sensor is in compliance with the essential requirements and other relevant provisions of Directive 2014/53/EU. Changes and modifications not expressly approved by the manufacturer or registrant of this equipment can void your authority to operate this equipment under Federal Communications Commission’s rules. This device complies with Industry Canada license-exempt RSSs. Operation is subject to the following two conditions: (1) this device may not cause interference, and (2) this device must accept any interference, including interference that may cause undesired operation of the device. Cet appareil est conforme aux normes d’exemption de licence RSS d’Industry Canada. Son fonctionnement est soumis aux deux conditions suivantes : (1) cet appareil ne doit pas causer d’interférence et (2) cet appareil doit accepter toute interférence, notamment les interférences qui peuvent affecter son fonctionnement. This equipment should be installed and operated keeping the radiator at least 20 cm or more away from person's body. Cet équipement doit être installé et utilisé en gardant une distance de 20 cm ou plus entre le dispositif rayonnant et le corps. 1.Why I cannot pair my accessory? 2. Why my accessory is not shown on adding screen? 3. I have just reset my accessory, but it’s still visible in the app. Why? 4. I removed my accessory manually using the application interface, but cannot pair it again. Why? It’s necessary to perform the reset procedure of the accessory according to its manual. 5. The accessory was paired successfully, but it doesn’t report the status of opening/closing. Why? a) The sensor’s cover is oriented wrong. Reverse it and try again. b) The accessory is out of range. Come closer with your mobile device and try again. c) The battery is empty and needs replacing. 6. How to install the sensor with screws? What maximum diameter is possible? The accessory can be installed with screws using two holes at the ends, but the screws are not attached in the package. The maximum diameter is 2.5 mm. 7. Why the accessory is equipped with two tamper buttons? Combining two tampers prevents from two ways of interference. 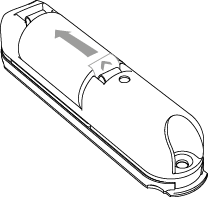 First tamper (located under the casing) detects tampering whenever the casing is opened. Second one (located under the device) detects tampering if the accessory is detached from the surface. 8. Can I mount the sensor outside? Unfortunately, not – indoor use only. 9. I received a tampering notification, but the accessory stays safe. What is wrong? 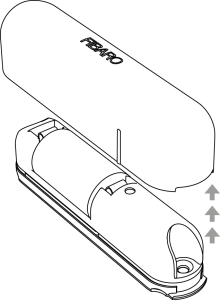 a) Make sure the casing is correctly oriented and closed. b) Make sure the accessory doesn’t stick out from the surface. Take off the cover, remove the empty battery, insert a new one, and close the cover.